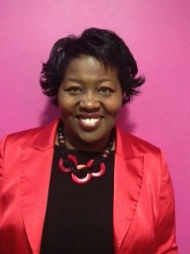 Olive Strachan is the founder of Olive Strachan Resources, established in 1998 and based in Manchester, United Kingdom. Since setting up her own consultancy, Olive has delivered training that makes an impact all over the world. 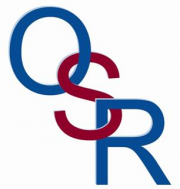 OSR creates bespoke solutions for any size of business, delivers cost-effective open programmes, and provides specialist advice for companies that do not have a dedicated in-house HR resource. Olive is an International Management Consultant, Expert Trainer, Motivational Speaker , and Executive Coach who started her career in the Recruitment industry working as a manager and coach for Reed Employment, Blue Arrow, and Adecco. Olive then pursued a career with Video Arts Training establishing their first learning resource centre in Manchester. In essence Olive has been developing managers for over 25 years. Having worked in over 20 countries has given Olive the experience and understanding of International Business. This experience combined with a Master’s Degree in Human Resources Management, ensures that she is able to understand the issues that face organisations. Olive has travelled extensively and is an experienced facilitator. Her main niche incorporates and develops managers, directors and working with individuals to reach their full potential. Olive has worked with national organisations including Astra Zeneca, The British Council and Manchester City Council and international organisations within sectors such as pharmaceuticals, the financial sector, retail, banking, and education. She was also involved in developing the volunteers for the Commonwealth Games when it was held in Manchester. Olive has achieved an ILM Level 7 in Coaching and Learning and she is a Fellow of the Chartered Institute of Personnel and Development. Most recently Olive has been recognised as the UKTI North West Export Champion for 2016. Export Champions are companies that have successfully sold overseas, and are prepared to encourage others to consider growing through exporting. I have used TetraMap for the past 10 years in coaching situations when the client is blocked and cannot see why someone they work with is being challenging. I have also used it in training programmes to aid communication and resolve conflict. Delegates find it a valuable tool; whether they are based in Morocco or Manchester it resonates with them. Olive Strachan is inspiring and fun to work with. Her enthusiasm, electric personality and approach has helped Irwell Valley embrace diversity performance and overcome challenging and often sensitive colleague issues. She is one of the few people I enjoy look forward to working with.